Find a vacation home to rent in Detmold from our list of vacation rental properties. 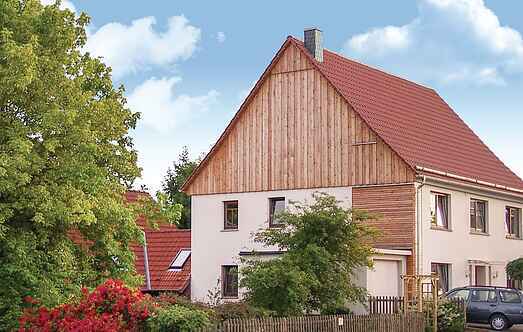 Campaya has over 76 vacation homes available in Detmold, which give you the possibility to locate a unique accommodation in Detmold which completes your check-list in search for the perfect self catering vacation apartments in Detmold or vacation villas in Detmold. This bright, modern apartment is the ideal starting point for your vacation in the western forested mountains. In the separate bedroom has a comfortable double bed. This holiday home is one half of a house in a charming holiday park. Together with modern facilities and a high level of comfort, the quiet location promises guests a relaxing holiday. Very generously equipped, bright apartment on the second floor (top floor) of the house. Here you can experience a beautiful view of the surroundings. This comfortable holiday home is situated in front of a fascinating forest and mountainous backdrop in the western Weser Uplands near the southern foothills of Teutoburger Forest. Your house was originally built as a bakery times a large courtyard. It is surrounded by a beautiful courtyard garden, which is bordered on one side by a natural creek. You can expect a comfortable house in a well maintained cottage area.